On reflection I think I must have been hypnotised. It’s the only explanation really. I’m not a fan of strange cuts of meat, but I ordered the most bizarre combination of food. 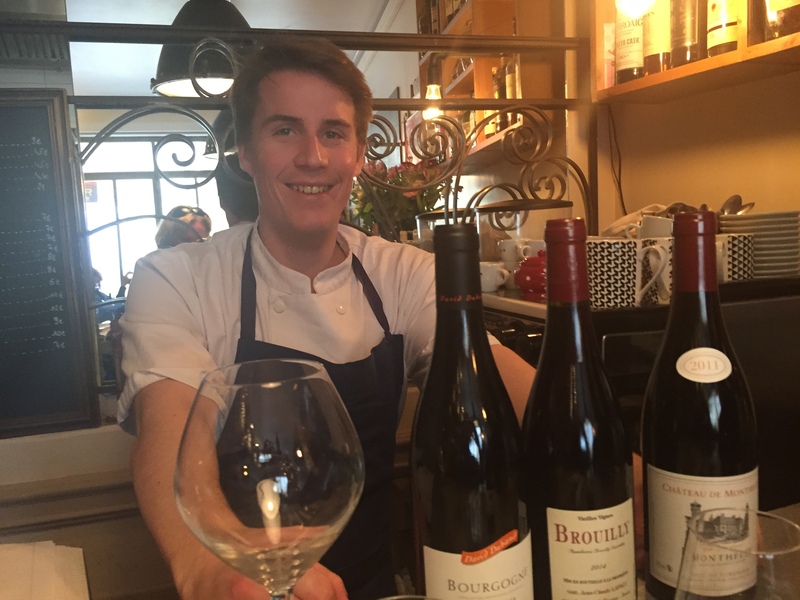 ‘Look into my eyes,’ said Pierre the ultra-enthusiastic young owner of Les Veilles Canailles (the old rascals) bistro, ‘for starters we have a carpaccio of pig’s feet, it’s a house speciality, it’s vraiment extraordinaire, it has to be eaten to be believed…’ I nodded my agreement. I’ve eaten cow’s tongue before and I can tell you it’s an enormous inedible rubbery piece of meat, and yet I nodded once again. My order was made even more extraordinary by the other lunchtime choices. I could have had a Corsican charcuterie salad to start. And not just any old charcuterie salad, charcuterie made exclusively for the Vieilles Canailles restaurant by the owner’s best friend in Corsica. For a main I could have had a ballotine of chicken and pomme puree. 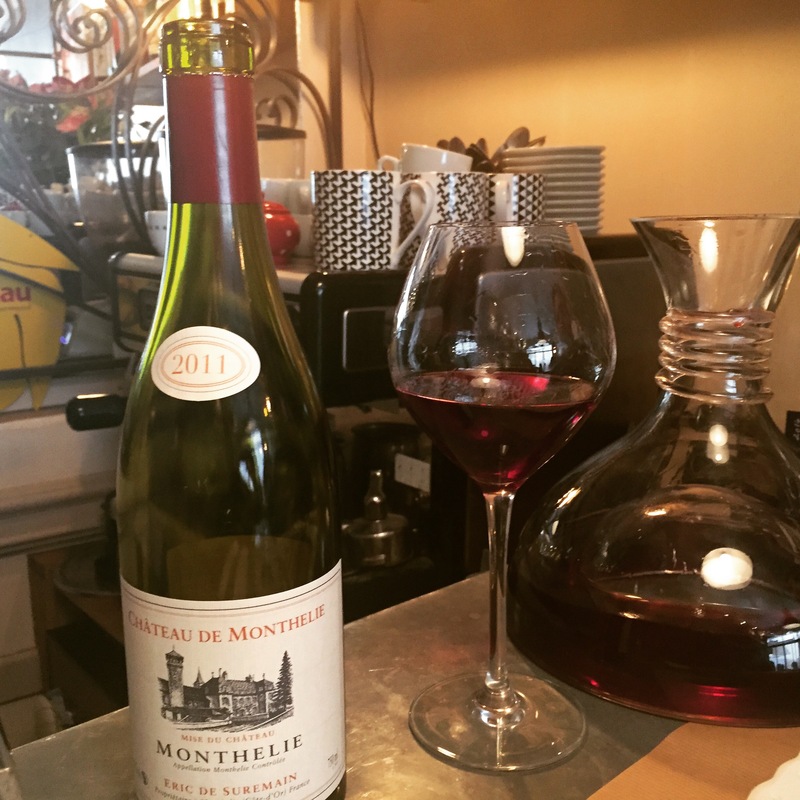 My dining partner very much enjoyed both. I on the other hand was stuck with strange pieces of pig and cow. Perhaps it was the atmosphere of the place that put me in touch with my inner French man. 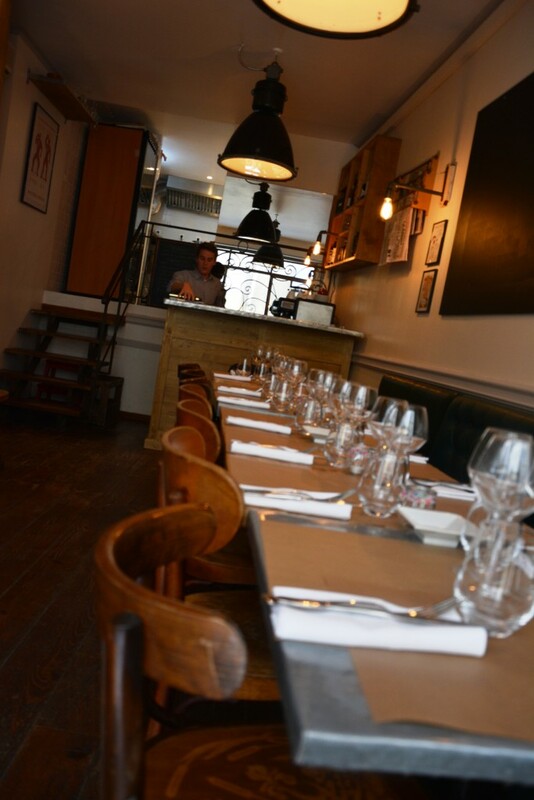 Despite recently celebrating its first birthday Les Vieilles Canailles feels more like a pop-up, the converted front room of somebody’s house. The dining area is tiny, perhaps 20 covers, and each table is personally attended to by Pierre, the owner, come waiter, come chef, come washer-upper. The music helps of course with Serge Gainsborough singing the track from which the restaurant takes its name (press play in banner). 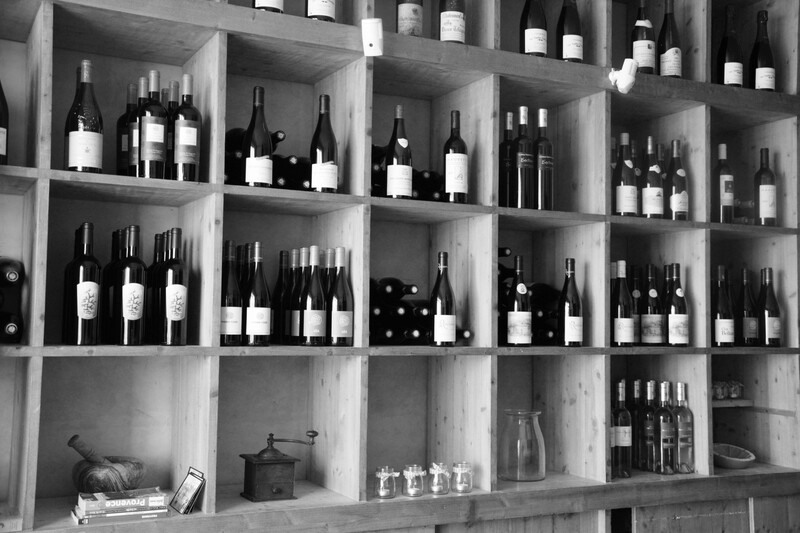 Bottles of wine, personally chosen by Pierre, line the walls. The ambiance is one of conviviality and well-being. It’s restaurant alchemy. People dining close to each other enjoying every second of their lunch. If Pierre could bottle the experience, and sell it as a franchise he’d make a fortune. The problem is he’d have to clone himself a thousand times. On to the food. Carpaccio of pig’s foot was surprisingly edible. 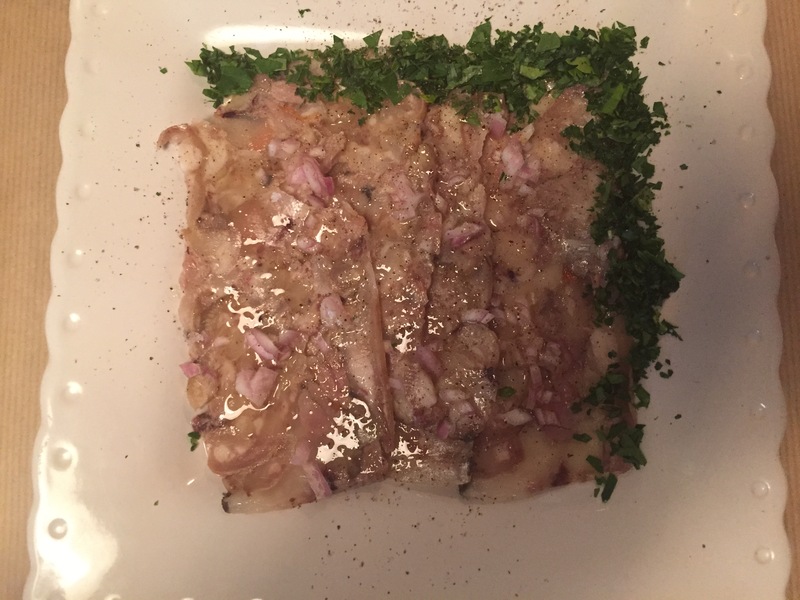 It wasn’t a carpaccio in the true sense with the word referencing the thinness of the slicing of the meat, rather than a raw marinade. Instead the pig’s foot had been tenderly treated to at least a day cooking before being pressed into a terrine and finally served to me. The slices had a gelatinous quality that my palate never quite came to terms with, but the marriage of the finely diced spring onions, the dressing and the meat, did win me over, and I cleaned my plate. The stew I thought would be easier to palate. And half of it was. Beef cheek when cooked well is wonderfully tender. The accompanying sauce, was unusual, light, delicately flavoured and tending towards a broth. The beef tongue though was as bouncy as a trampoline. Every time I tried to get a mouthful down, the damn thing would spring back up on me. My poor dining partner who pronounced her chicken quite delicious couldn’t quite understand why I was taking so long to clear my plate. 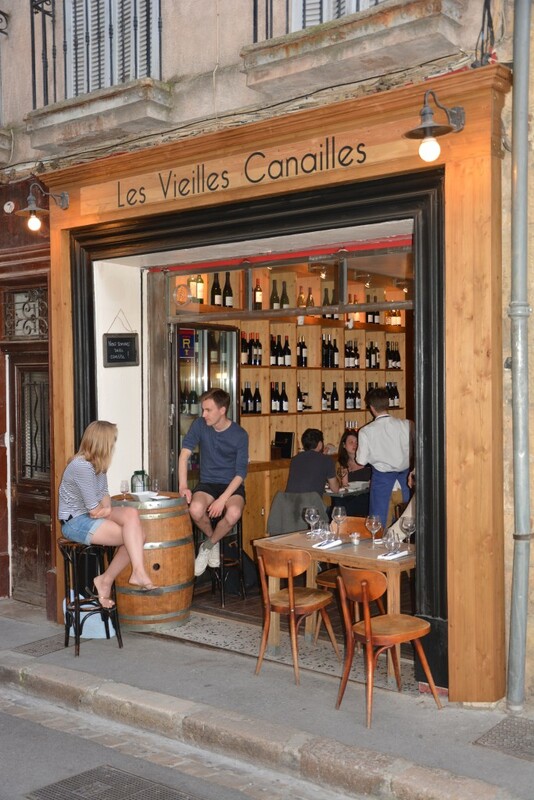 Les Vieilles Canailles is a great dining experience. Don’t be put off by my squeamishness, in the evening there is a full a la carte menu, with not a tongue in sight, and at lunch for the sensible there are plenty of safe options. At least, thanks to Pierre, I am no longer a pig’s trotter virgin. Instead like him and his clientele I’m a right rascal.